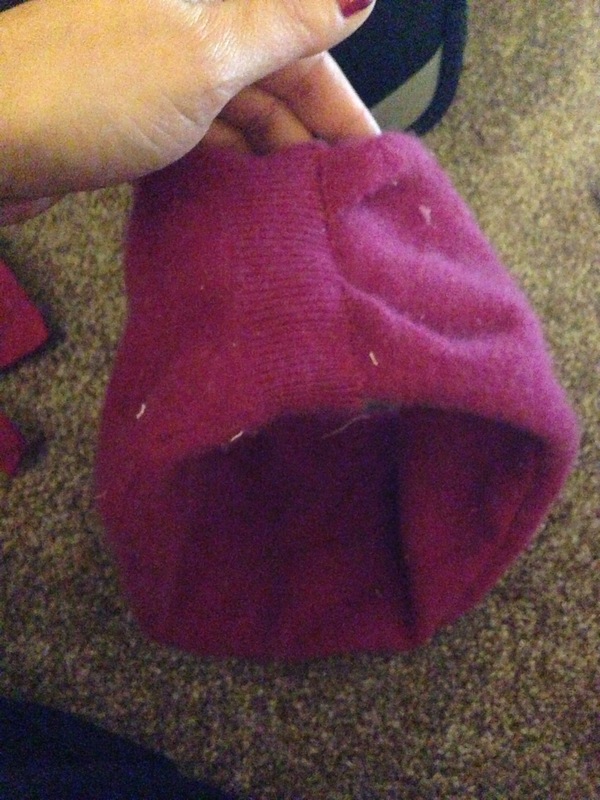 1) Cut off the sleeve making sure that it will go around your head comfortably. Do not stretch it (much) to fit. 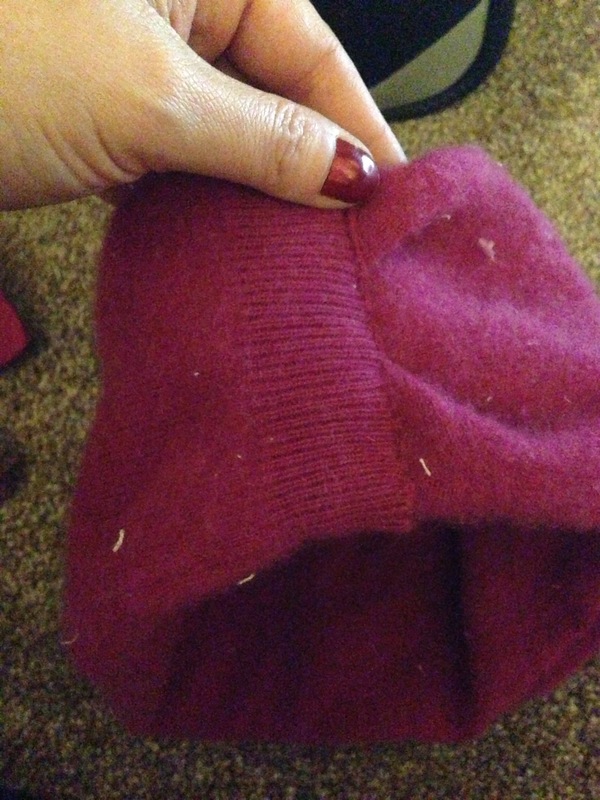 When you sew the ends together you will lose some length but you want it to be snug on your head so it stays on. Fold the sleeve into a circle and tuck the cut end into the finished hem end. 3) Now for the flare! The sweater I used was a cashmere that I accidentally shrunk and then decided to heck with it and tries to felt it by boiling and boiling it. It didn’t quite work. But the end product was a material that didn’t fray that much. 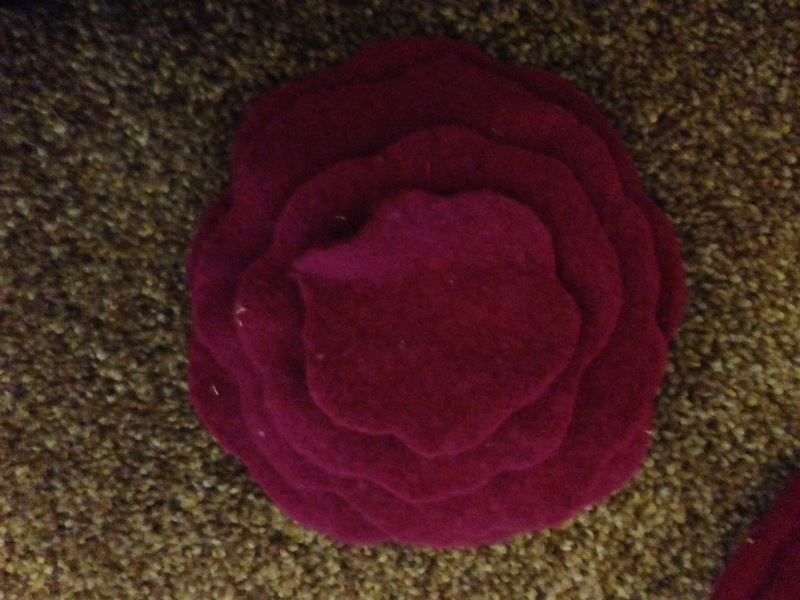 So I decided to make a large, simple, layered flower to cover the seam. I cut several rounds of sweater and then cut some wavy edges. Then I simply attached the flower to the head band. 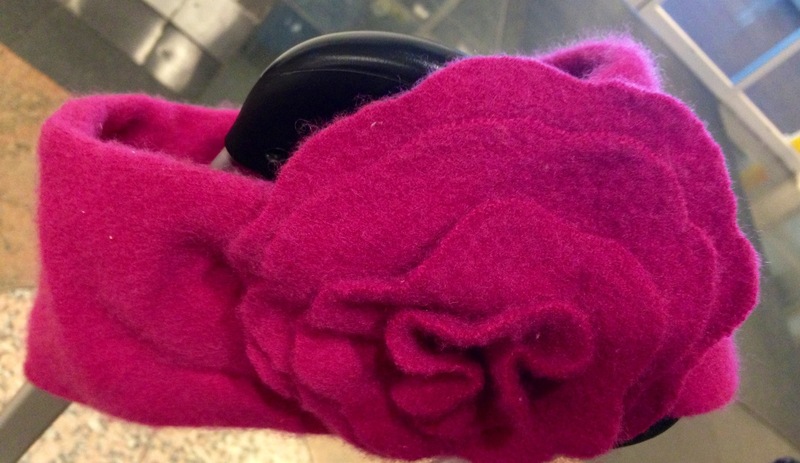 If my sweater had frayed a lot, I would probably have made a complementing flower out of different materials. Or I would have sewed a long “ribbon” by folding the sweater pieces in half and sewing along one edge to make a large rosette. So many options. So few sweaters that I am willing to chop up. 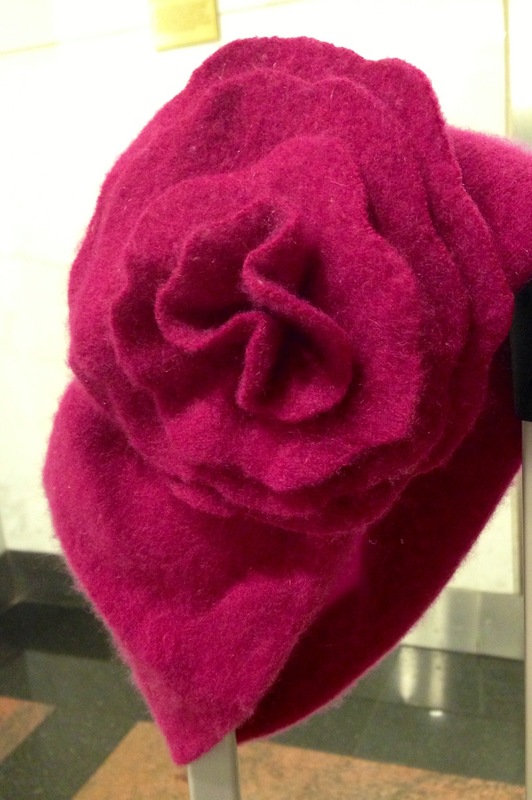 This entry was posted in Every Post on this Awesome Blog, Your Creative Health, Your Personal Health and tagged cold, cover, Ear muff, hat, protection, recycled, upcycled, warmth. Bookmark the permalink.